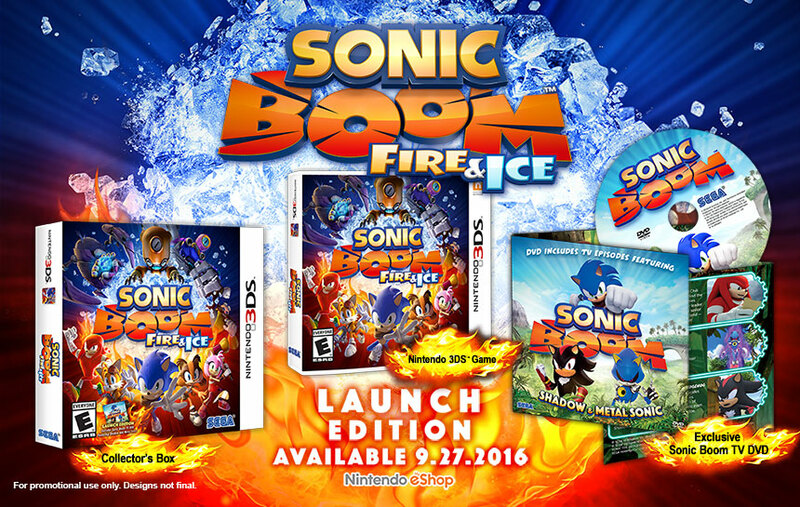 SEGA’s Sonic Boom: Fire & Ice releases today for the Nintendo 3DS in North America, and will release a few days from now on September 30th in Europe. The game is available both digitally on the Nintendo eShop and physically with a special Launch Edition for the Americas which includes a collector’s box and a DVD of select Sonic Boom TV show episodes featuring Metal Sonic and Shadow. While reviews have started to appear elsewhere on the web, expect a Sonic Retro review soon. After the break, check out the full press release from SEGA!